When we say that camper health and safety is our top priority at Hockey Opportunity Camp, we really mean it. At Hockey Opportunity Camp, many facets of camp preparation and programming incorporate some form of preventative measures to ensure injury/illness is minimized. FACILITIES: Facilities and equipment are checked, cleaned and certified (where required) yearly. CAMP STAFF QUALIFICATIONS: Staff are encouraged (through wage increases) to attain their highest level of water and emergency certifications prior to working at camp, therefore ensuring most staff are available to assist in the event of an emergency. EMERGENCY PROCEDURES: Parents can also be assured that detailed emergency procedures (land and water) are in place and reviewed/practiced with staff during our extensive pre-camp training session and throughout the summer. FULL TIME, ON-SITE HEALTH CARE STAFF: During camp, our fully equipped Health Centre with a full time Nurse and/or Nurse Practitioner/Doctor on-site makes certain that campers receive immediate care for all their medical needs. Pertinent medical equipment is also readily available on camp and at the arena, including defibrillators, epi-pens and first aid kits. Part of the registration requirement is a Health History Form for each camper. Prior to check-in, our Health Care staff review all of the Health History forms for the upcoming week to list any concerns that need to be discussed with parents. On check-in day, all parents will get a chance to meet with the Nurse/Nurse Practitioner/Doctor for the week. At this point, you can go over any allergies or health concerns you may have. Campers who are Anaphylactic receive a special brightly coloured bracelet to wear throughout the week, which reminds our staff to make sure the camper is carrying his/her epi-pen. After check-in, campers are screened for medical conditions, such as head lice, gastrointestinal illness and influenza. In the event that your child shows symptoms of any of these conditions prior to camp (ie. up to 72 hours), please ensure they are assessed and treated ahead of time. If treatment is not completed prior to camp, please contact the Camp Director to discuss next steps. HEAD LICE: Please check your childʼs head. For more information on identification and treatment, click here. INFLUENZA-LIKE ILLNESS: Symptoms include but not limited to fever with a cough and one of the following; sore throat, muscle aches, joint pain or weakness. HOC Staff will be reminding your camper to follow these guidelines while they are at camp. You can help us by ensuring your camper packs these items in their luggage. Click here to view the Screen Me Sun Safety Fact Sheet. We also hire a Parent Communication Representative. 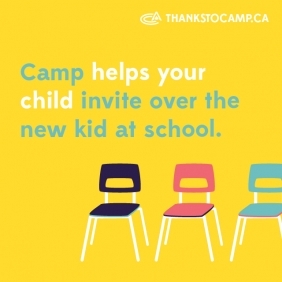 This person works closely with our Health Care team as well as with our counselling team and will be able to update parents quickly on any concerns your child might have while at camp. Our goal is to continue to improve the level of comfort parents have while their child is away from home.